Food addiction is a type of addiction where individuals who struggle with eating large amounts of food, typically done in secret within a 2 hour time period and have an unhealthy relationship with food. Those who are addicted to food, react the same way as those addicted to drugs react [1, 4]. 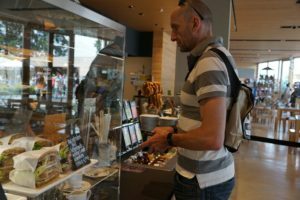 In 2009, Yale published in Appetite, the Yale Food Addiction Scale which measures the substance-dependence criteria from the DSM-IV and uses to reflect eating behaviors associated with foods in high fat, salt, and sugar . This Scale is a 7 item scale which has been used in various studies for diagnosing food addictions. Researchers who created the Scale used functional magnetic resonance imaging to examine the brains of 48 women as they viewed images of a chocolate milkshake and again when drinking the milkshake. Participants who met the criteria for food addiction showed high levels of activation in brain areas associated with craving and motivation, including the caudate and medial orbitofrontal cortex [2, 5]. This research suggests that those with food addictions respond differently to food cues in very similar ways that alcoholic responds to drinking cues. Based on the finding of how food addiction occurs, there have been various studies on the medications that can help with food addiction urges, cravings, and responses. A study from the University Of Warwick Business School in the UK, suggested that Modafinil, a drug used in impulse control, may be a part of combating addictions to food . Other studies on this same drug, report that it alters the level of serotonin and dopamine, which impact the brains reward and addiction system [3, 6]. 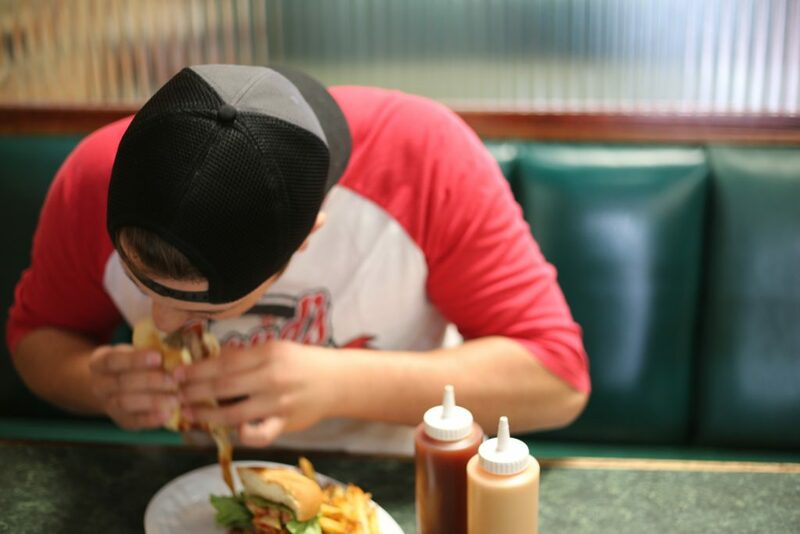 Food addicts tend to lack a certain type of dopamine that leads to an impulsive reaction when eating to obtain a level of reward and pleasure that is of higher levels in non-food addict peers. A team that reached this reaction looked at 60 men aged 19-32 and found that the group who took Modafinil, showed reduced impulsivity compared to the placebo group and the alternate medication group who took Atomoxetine (a drug used for the treatment of ADHD) [3, 5]. 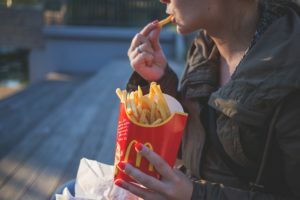 Food addictions share many similarities with eating disorders and mental health disorders such as depression and anxiety, connecting similar pharmacological treatments to be equally effective. Medications such as Luvox or Zoloft which are in the SSRI family, help with increasing serotonin within the brain which helps regulate mood . According to the McLean Hospital in Boston which is affiliated with Harvard Medical School reported that with success of SSRIs in bulimia, it is a natural extension to see if they could also work in food addictions as well . Another area studied in the drugs combating food addiction is not a drug itself, but the metabolic regulation. Several studies have shown that exposure to drugs of abuse significantly alter the function of numerous neuropeptide systems . This has been shown in studies in relation to food addiction, when individuals continue to eat even after energy requirements have been met. The systems, which are hedonic and homeostatic have interconnections within the brain. Homeostatic regulate hunger and satiety, such as leptin and insulin. Healthy Leptin production, which is secreted by the adipose tissue, decreases food intake and inhibits the activity of dopamine neurons . With this in mind, food addiction theories suggest that highly processed foods can have a significant addictive potential. Studies have shown that participants showing compulsive overeating consume higher amounts of macronutrients (fats and proteins) compared with non-food addicted peers. These studies have identified fat enriched foods and refined sugars will activate the reward centers in the brain . Another rationale is that as studies continue to be done around food addictions there is increasing evidence that food addiction, binge eating, and other eating disorders co-occur with mood, anxiety, and substance use disorders . Researchers are continuing to find genetic and neurobiological abnormalities associated with these disorders and are beginning to realize that pharmacological responses can be extremely helpful in treatment. Further treatment is being done to look at the potential involvement of opioid, dopamine, and norepinephrine systems, all which influence feeding behaviors . As these studies continue researchers can look at what abnormalities may be affecting the central nervous system and develop targeted pharmacotherapies. Even with these new studies and continued research, scientists within the field have recognized that mood and appetite are connected. If there is a low level of serotonin, a person may feel depressed but also may crave high-carbohydrate, binge-type foods . When a person eats high carbohydrate foods, it then results in an increase in serotonin, and the brain begins to self-medicate by binging or overeating. Researchers feel that by using a medicine that can increase serotonin levels might suppress the desire to binge. This research is starting to validate the work that many practitioners have been using without evidence based results. In conclusion, the study of drugs for combating food addiction is still relatively new. Several drugs are beginning to be studied and used to help fight food addictions within participants, but we are still a ways away from have targeting specific medications available for food addiction.